This course is intended for people seeking to develop or improve effective technical writing skills at the beginning or intermediate levels. The primary goal of this course is to review and practice writing techniques for making any technical content easy to read, understand, act upon, and remember. Special emphasis is given to techniques for writing clear instructions and procedures. 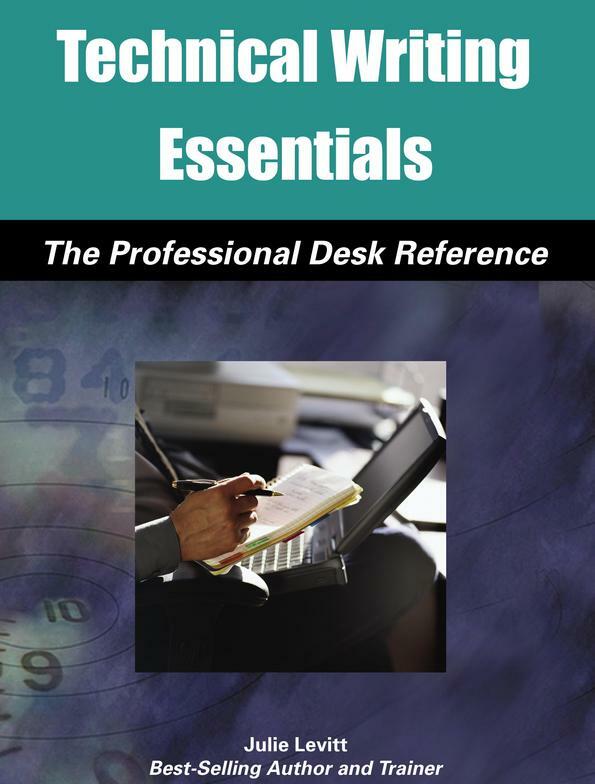 Technical Writing Essentials, by Julie Levitt is the 100-page book provided for each course participant. This comprehensive collection of easy tools to improve technical writing effectiveness is both a learning tool and an efficient reference for future use. The book reflects current business trends and standards.